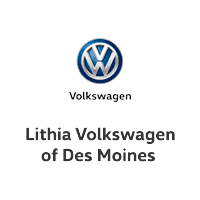 Welcome to Lithia Body and Paint of Des Moines, Located in Clive, Iowa. We serve the surrounding areas of Des Moines, Ames, Ankeny, Boone and Indianola Iowa. You may reach us at (877) 331-2413. We would be honored to answer ANY questions you may have regarding your body shop needs or help you obtain your no-cost, no obligation, FREE ESTIMATE at Lithia Body and Paint of Des Moines located at 9943 Hickman Rd Suite 107, Clive IA 50322. Lithia’s collision centers provide state-of-the-art auto body shop repairs and painting. Financing available upon lender approval. See Manager on Duty for Limited Warranty Details. I-CAR is considered to be the leading industry training program for providing up-to-date knowledge on every facet of the collision repair industry. We are proud to have the I-CAR Gold Class Certification at every local Lithia body shop and collision center. We use Dupont Performance Coatings and Spies Hecker Paint. All of our body & paint repair facilities are equipped with Downdraft Paint Booths fitted with Direct Fire heating systems, considered to be the best in the industry. This Climate-Controlled downdraft system bakes the paint to give your vehicle a perfect paint finish. Lithia’s automotive painting technologies will have your car or truck looking like new in no time. Today’s modern factory finishes incorporate multiple layers of highly specialized paints. Without the most sophisticated techniques and training, high-tech factory finishes cannot be duplicated. We have made a major investment in the finest painting systems available and take special pride in our ability to match factory finishes. All paint is backed with a manufacturer’s lifetime warranty. Our facilities’ staff has been through extensive in-house technical and service oriented training in order to provide our customers with accurate estimate, quality workmanship, and friendly knowledgeable service. Our facilities’ advisors are able to complete the estimate process quickly using the latest automated techniques. We also assist with insurance claims by corresponding and coordinating directly with your insurance company to streamline the repair process. At all of our body & paint repair facilities, we are constantly striving for 100% customer satisfaction.